Why not find your theme created 25 Jan. Created this again. Still hoping for an answer. 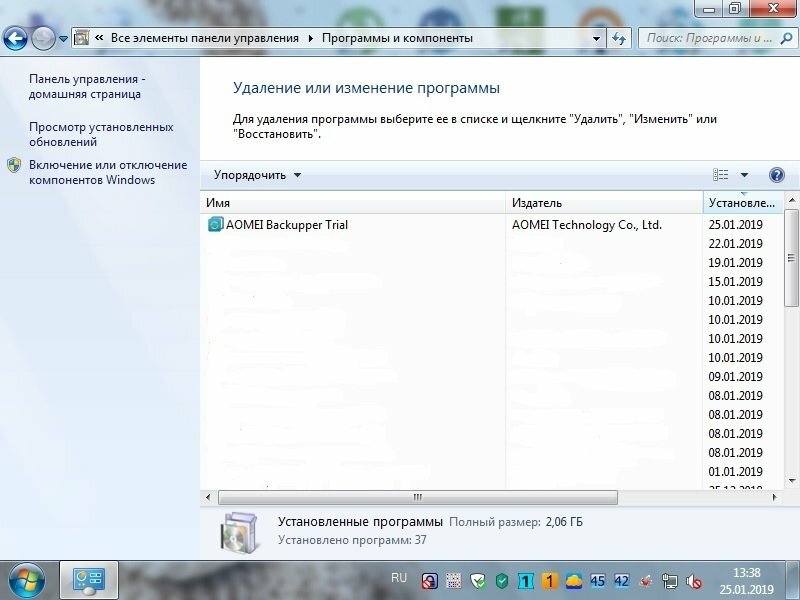 Why in the last few versions despite the fact that I install the free AOMEI Backupper Standard in the menu of installed programs in Windows it is displayed as a trial, although during the installation I refused the offer to try to use the functionality of the paid version? Is it really impossible to do so in this case in the menu of installed programs in Windows displayed the usual name without a reference to the trial version? A screenshot is attached. Information about other installed software I have lost in the graphics editor. Thanks in advance for the answer. AOMEI Partition Assistant Standard Edition appears in the list of installed programs in Windows normally (without reference to the trial version). Do you mean you installed the Standard version but it is displayed as a trial? Yes. In the list of installed programs in Windows 7. We will fix the issue in the next version.